1. Cheap flights Denpasar Bali - Tambolaka: start at NZD 52. 2. Cheap flights Denpasar Bali - Bima: start at NZD 77. Looking for a cheap flight from Denpasar Bali to Labuanbajo (DPS-LBJ)? Flights fares for Denpasar Bali to Labuanbajo start at NZD 74.00. Find the best and cheapest flights on this route and other relevant information. Before you book a flight you can use Utiket to find the cheapest flights from Denpasar Bali to Labuanbajo for Garuda Indonesia, Lion Air, Batik Air, Wings Air, Citilink, Sriwijaya Air. All flight data are real-time and accurate. 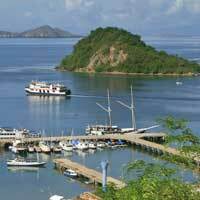 Utiket finds all the cheapest flights from Denpasar Bali to Labuanbajo. On average the flight time between Denpasar Bali and Labuanbajo is about 45 min. There is no time difference between these cities. The timezone for both cities is: UTC +08:00. The local time now: 12:32:48. There are 5 airlines flying from Denpasar Bali to Labuanbajo. Weekly there are 60 flights between Denpasar Bali to Labuanbajo. The earliest flight from Denpasar Bali to Labuanbajo is at 07:30. The latest flight is at 16:00. The cheapest price for flight from Denpasar Bali Labuanbajo is NZD 74.00. Bali's airport Ngurah Rai is named after I Gusti Ngurah Rai, an Indonesian National Hero who died in a puputan (fight to the death) against the Dutch at Marga during the Indonesian Revolution in 1946. The airport has undergone some major renovations lately significantly improving the congestion and facilities. 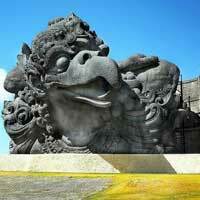 Find cheap flights to Denpasar Bali or read more about Ngurah Rai International Airport. The Komodo Airport is a small domestic airport providing air access to Flores, the Komodo Island and surrounding area. The airport's name comes from its location in the Komodo subdistrict (kecamatan) of the West Manggarai Regency, one of the six regencies on the island of Flores. Find cheap flights to Labuanbajo or read more about Komodo Airport. Which airlines have direct flights between Denpasar Bali - Labuanbajo?